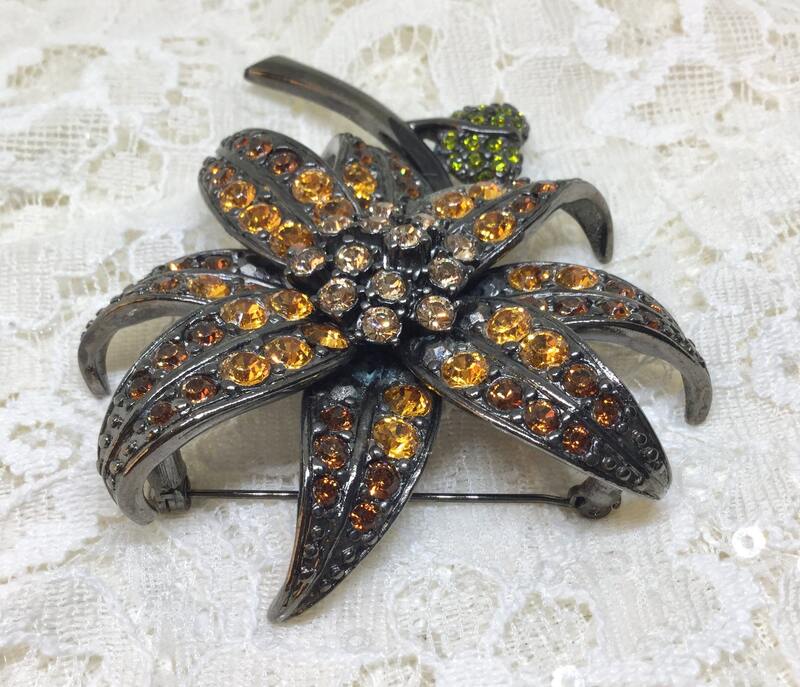 This is an early 90s Joan Rivers signed large flower brooch from her Classic Collection. 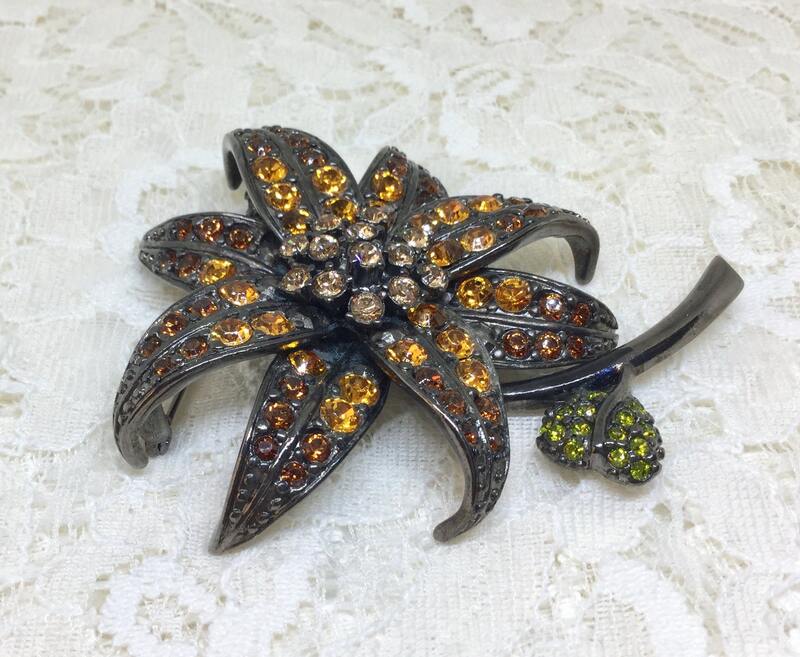 The large flower is made with three shades of a golden topaz color rhinestones that are placed in a gunmetal setting. The contrast really makes the rhinestones sparkle. 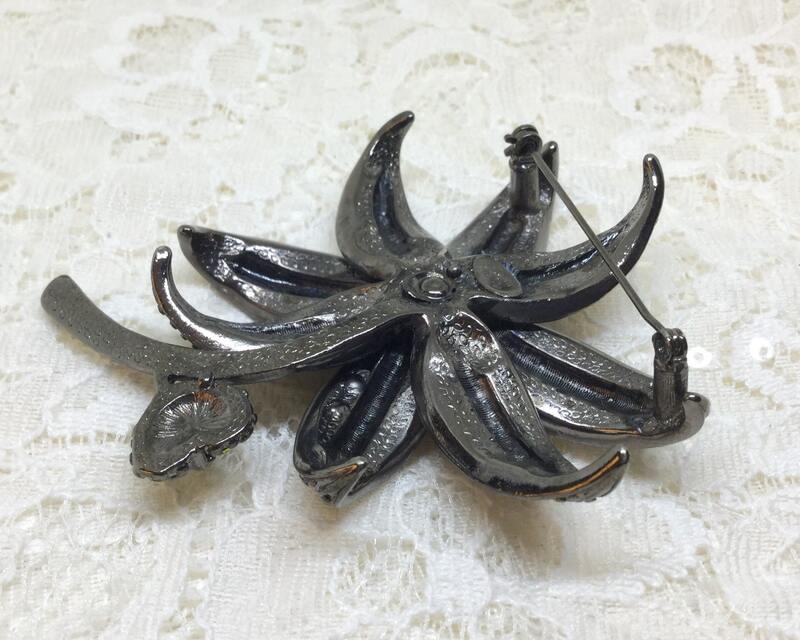 It is very dimensional with its curling petals. 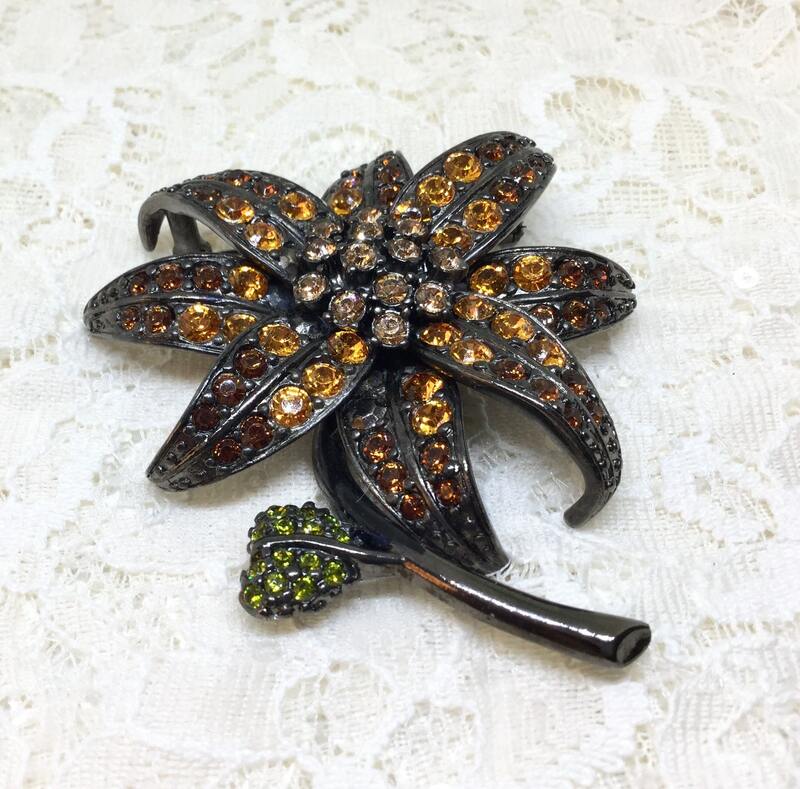 There is one leaf on the stem that is in the shape of a heart and set with green rhinestones. 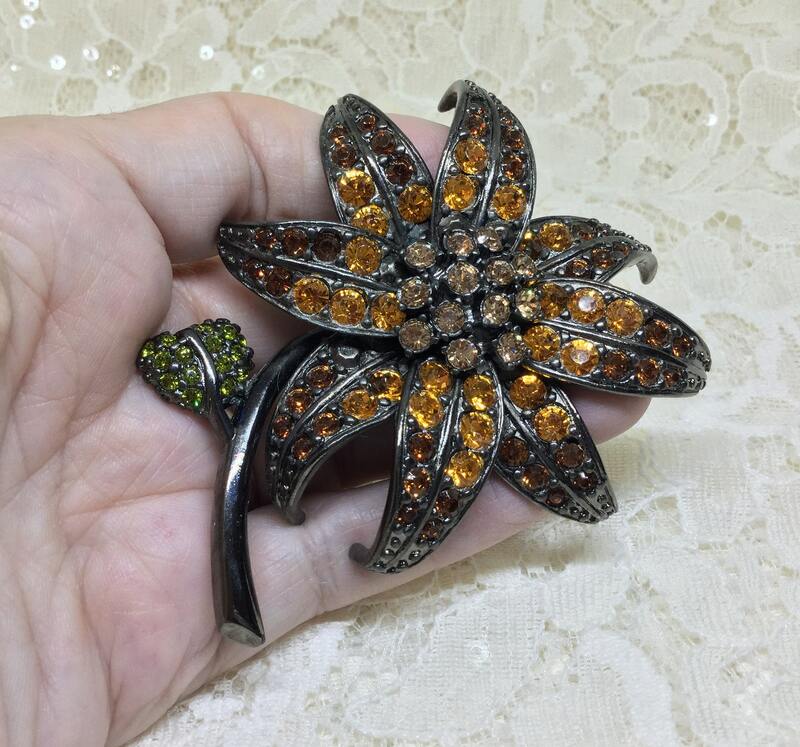 All of the rhinestones are present and the brooch is in excellent condition. 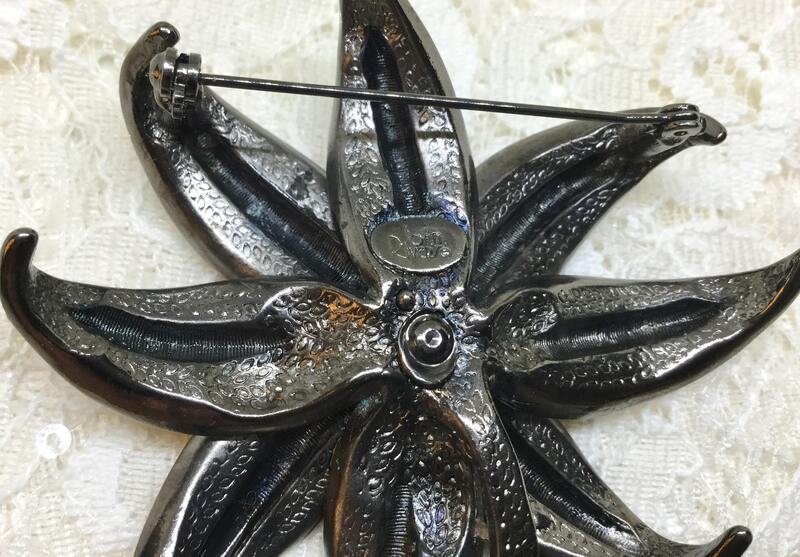 It measures 3 1/4” x 2 3/4” and the pin closure is straight and works smoothly and securely. 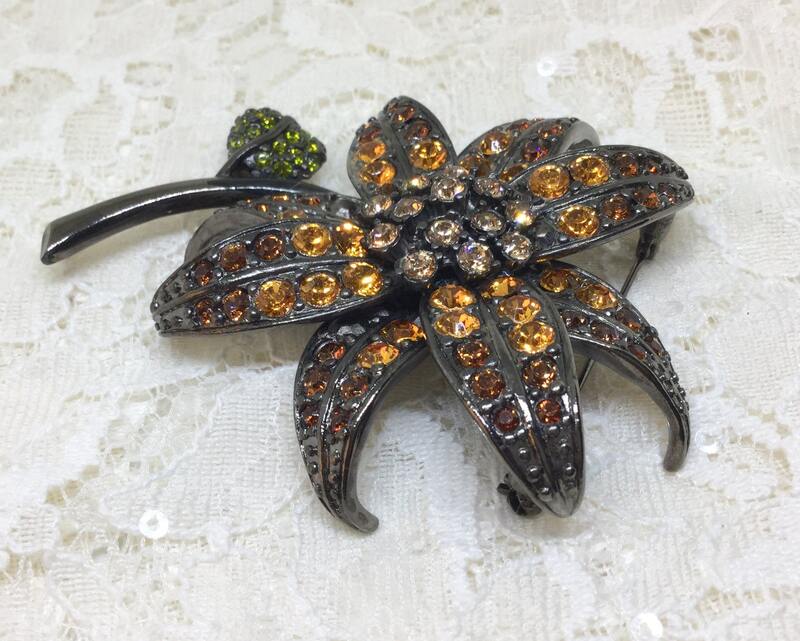 This is a wonderful example of her early a Classic Collection and would be great to wear on a sweater or coat or to give as a special gift!